Scholarships that are only eligible to active SSS participants. Time and attention are two of the biggest benefits you’ll find when working with your SSS advisor. Students can meet with their SSS advisors by appointment or by walk-in except during Early Registration times. Students are not limited to the amount of time they can spend discussing issues of special concern. Many students will meet one-on-one with an advisor several times throughout the semester. Confidentiality: TRiO SSS students can remain secure in the fact that all advising contact is kept in strict confidentiality by all TRiO SSS staff. We believe that in order to truly help a student, that student must feel comfortable to address all of their circumstances. 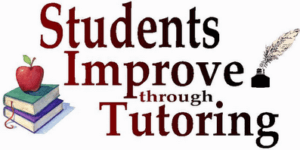 e-tutoring Each semester, professional and peer tutors are available to provide tutoring in most major academic areas. These tutors are available to all SSS students whenever the student or the Retention Specialist deems that additional study, remediation, or review is necessary for the academic success of the student. Tutors are available in most subject areas and have the opportunity to work consecutively with the assigned student. Online tutoring is also available to all students though e-tutoring!